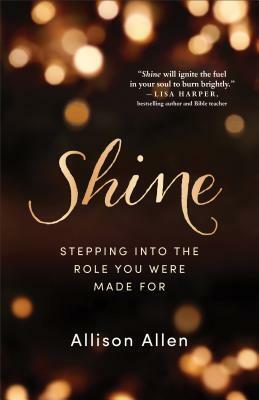 "Shine" is a book that is life giving and will one overcome their fears, insecurities, rejection and pain if they take the application from Allison Allen and apply it with biblical principals to their life. Allison does a fantastic job at being transparent from her own life, which make it easier to feel vulnerable in opening up emotions and wanting to shine for Jesus in difficult and dark places. I love chapter 8 where Allison points out how the reader can find out where they know and how they know where to shine their light for Jesus. It makes it more easy to help find one's strengths and gifts. I love how the reader goes from a place of not maybe understanding their calling to walking in the light or maybe refining their calling. This book is a breath of fresh air and I highly recommend it. I give it 5/5 stars. Thank you to the publisher for providing me a complimentary copy. A favorable review was not required.